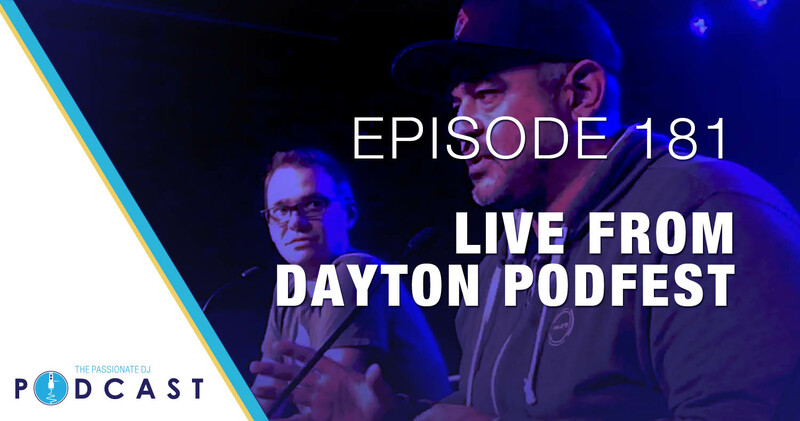 In today’s episode we present a recording from Dayton Podfest where David and Mo spoke in front of a crowd about podcast production, content creation, and why we’re passionate about DJing. ⚠️ Passionate DJ is supported via Patreon. Gain access to bonus episodes! We discuss our roles in production, the struggles we have with time management, the pros and cons of working on a team… as well as some stories about how we use DJing to help attach music to an important memory. The audio from this show was originally published on The Gem City Podcast, and is being shared here with the permission of Terry “Izzy Rock”. Video provided by Passionate DJ. Preceding the main segment, we speak to Chris who was running audio for the event. He gives us some insight on lights and sound from his 30 years of stage experience.